Vogue India kills it this month with a cover shoot that has us on the floor doing sit-ups as we write (oh how incredibly talented we are to be able to do that). 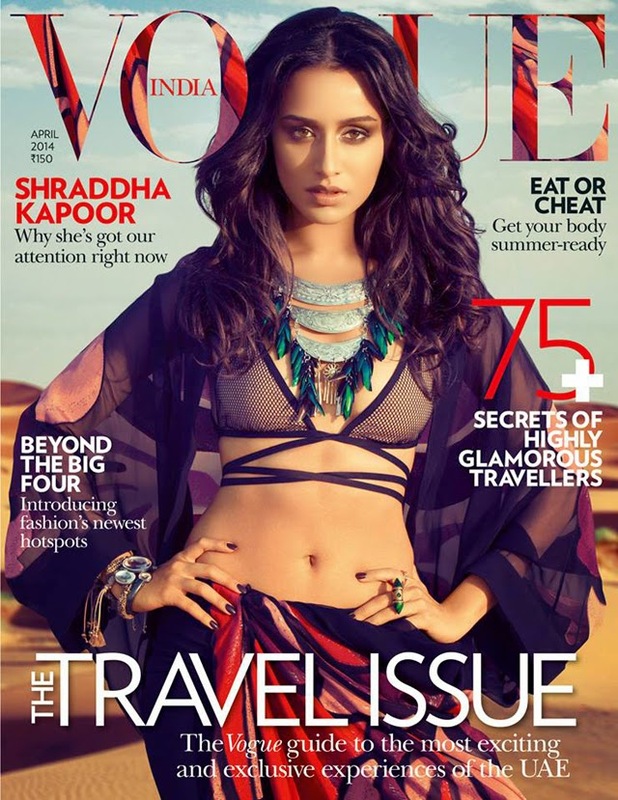 The cover, featuring the beautiful Shraddha Kapor, was shot in Dubai and showcases a plethora of inspiring style shots for the warm weather months ahead. Let's concentrate on the cover, however. Speaking style, we're loving the combination of bikini top, flowing kaftan and chunky OTT jewelry. For warm weather dressing, we're all for less clothes and more jewelry. Who's with us?